Spinal Injury Caused by Medical Malpractice | Merkel & Cocke, P.A. The impact of a spinal cord injury on your life can be devastating, for both you and your family. Knowing that it was due to the negligence of a medical professional can make matters even worse. Spinal cord injuries change lives dramatically—causing issues like difficulty breathing, paralysis, and chronic pain. In a health care setting, it’s crucial doctors and other medical professionals are held to the highest standards when working with this most delicate part of the human body. About 12,500 spinal cord injuries (SCI) occur each year in the United States, with 276,000 currently living with SCI. The spinal cord is a collection of nerves that travel from your brain down your back, and allow your brain to control the muscles that move your arms and legs, and control the functions of your organs. A spinal cord injury can disrupt these signals and cause significant health problems. How can malpractice lead to spinal cord injury? Emergency room mistakes. Sometimes a broken back or spine fracture is misdiagnosed during emergency care, leading to permanent or worsened injury. Especially common is failure to properly immobilize a patient’s head and neck, or moving the patient incorrectly. Anesthesia errors. When anesthesia is administered incorrectly during a procedure, it can increase the risk of epidural hematoma—which in turn can result in spinal cord injury. Chiropractic malpractice. Chiropractic care involves manipulation of the spine. If utmost care isn’t taken during procedures, spinal cord trauma can occur. Surgery mistakes. Any surgery of the spine is a delicate process. If a patient isn’t monitored properly, positioned correctly, or if a surgeon isn’t properly trained, critical errors can occur that can leave a patient with a devastating SCI. Failure to diagnose serious spinal cord impingement or abscess. If a patient presents with serious back pain and/or neurological deficits, it is necessary for the doctor to perform tests to diagnose the cause, which might be spinal stenosis, a ruptured disc or a spinal abscess. A CT or MRI radiological exam (or even a plain x-ray) will show the cause and allow simple surgical correction before permanent damage to the spinal cord and paralysis occurs. As in strokes and heart attacks, time is critical, as earlier correction is absolutely necessary to prevent permanent injury, including loss of function of the arms and legs, and loss of bowel and bladder function. Injuries to the spinal cord are specific according to the area of injury. The higher up on the spine the injury occurs, the worse the outcome. Commonly, however, spinal cord injury results in some or all of the following complications. Loss of sensation. Injury to the spinal cord prevents it from communicating with other parts of the body. Patients can experience tingling or numbness. Pain. Some patients undergo spinal surgery to relieve pain and end up with an injury, causing more pain than before. Chronic health issues. SCIs can cause chronic issues like muscle spasms, urinary tract infections, and blood clots. Paralysis. If an SCI occurs high enough up the spinal cord, a patient can suffer partial or complete paralysis. Victims of spinal cord injuries may face a lifetime of medical bills, chronic pain, earning potential, and loss of quality of life. 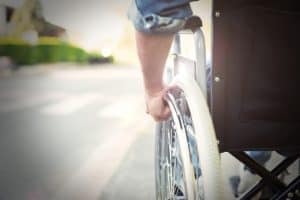 At Merkel & Cocke, our knowledgeable Mississippi spinal cord injury attorneys work for you, seeking resolution and compensation for your claim. Our lawyers have offices in Jackson and Clarksdale. You are welcome to call us today at 662-799-1633 or complete our contact form to schedule a free consultation.